The long wait is finally coming to an end, with the imminent return of a full-size ice rink putting hockey development in Romania’s capital back on track. A minuscule rink surrounded by a food court inside a shopping centre has been the heart of Triumf Bucharest’s activities since the closure of the capital’s only international-size rink back in 2012. Formed back in 1958, Triumf has introduced a wide array of future national team players to the delights of hockey, while also blazing the trail as the first club in Romania with a women’s hockey program, starting during the 1992/93 season. Following a number of barren years for hockey development in the capital region, Bucharest will now once again look ahead to the future with newly found optimism. Hosting the World Girls’ Ice Hockey Weekend inside the Liberty Center Mall in Bucharest, a promotional campaign with the help of social media, e-mails and posters saw a committed group of girls between four to 20 years give hockey a try during a two-hour session. George Pogacean, head coach of Triumf and Romania’s women’s national team, spearheaded the event and now will look ahead to roll up his sleeves and kick-start the development of the women’s game in the capital following the impending inauguration of a full-size rink opening up in the city at the end of this month. “Having played with the kids in a mall on a small ice surface we have tried our best to keep up with the rest of the country, but we will now have to start everything almost from zero again, so for me and my team it will be like a restart,” said Pogacean. In 2012, lights were switched off and doors locked in Bucharest’s Mihai Flamaropol ice rink which for long had been passed its sell-by date. Having since been razed to the ground it left Bucharest, home of around 1.9 million people, without a regular-size ice rink. While teams such as Triumf, competing in the women’s championship, to Steaua and Sportul Studentesc playing in the men’s national competition felt the impact, development at grassroots level went to the bare minimum in a city with a long and proud hockey tradition which includes two IIHF Hall of Fame inductees, Eduard Pana and the late Doru Tureanu. With the steady decline leaving the women’s game on its knees, the historical rivalry of teams from Bucharest locking horns with its main competitor up in Miercurea Ciuc lost some of its edge, while on a national team level, Romania was to endure a five-year long spell without its women’s team competing at the Women’s World Championships. But hockey in Romania’s capital refused to throw in the towel. With the finishing touches now being put in place for an ice rink in Otopeni in northern Bucharest, near the city’s international airport, Pogocean is now able to look ahead with excitement of what is to come. “It has been a tragedy for our hockey activity that the capital and the largest city in Romania has been without a Olympic-size rink for so long,” said Pogocean. “But now as it’s almost here. We are waiting for it like for Christmas!” said Pogocean. 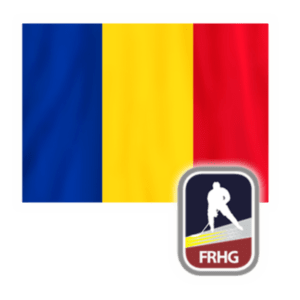 In December last year, the Romanian women’s national team made its return to the international stage, competing at the 2016 IIHF Ice Hockey Women’s World Championship Division II Group B Qualification in neighbouring Bulgaria. Pogocean’s team finished top of the standings to qualify for Division II Group B played in Akureyri, Iceland, between 27 February and 5 March 2017 with the team full of confidence for what is to come. “Our goal is to play good, mature hockey in Iceland and to try to remain in Group IIB, and then for 2018 we will be looking to win promotion,” said Pogocean. With Galati, Gheorgheni and Targu Mures also hosting events during the World Girls’ Ice Hockey Weekend, Pogocean hopes it can help spread the women’s game beyond its historically two dominant centres of Bucharest and Miercurea Ciuc and offer a wider selection of players finding its way to the national team fold, with the first port of call being its newly launched under-18 national team making its debut at the U18 Women’s World Championship Division I Group B Qualification in January next year. The 31st October is currently the inauguration date for the new rink in Bucharest. Add to that the proposed 3,000-seat arena set to replace the old Mihai Flamaropol rink within the next few years as Bucharest will have its infrastructure in place to continue its proud tradition of the game for generations to come.